Keeping with the Academy Awards theme this week, my best friend Armand (Known him since kindergarten) recommended that we cover the incredibly funny movie, “A Fish Called Wanda“. A Fish Called Wanda is a 1988 crime–comedy film written by John Cleese and Charles Crichton. It was directed by Crichton and an uncredited Cleese, and stars Cleese, Jamie Lee Curtis, Kevin Kline and Michael Palin. The film is about a jewel heist and its aftermath. 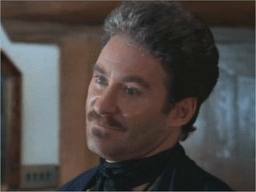 Kline won the Academy Award for Best Supporting Actor for his performance as Otto. The film was an enormous critical and commercial success. Kline received wide acclaim and won an Academy Award for Best Supporting Actor for his work. Cleese and Crichton received an Academy Award nomination for Best Original Screenplay. Crichton was also nominated for Best Director, and Curtis received nominations for Leading Actress at the Golden Globes and BAFTA awards. Michael Palin won a BAFTA for Best Supporting Role. 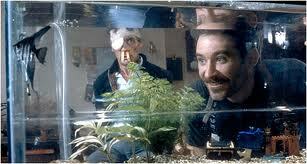 In 2000, the readers of Total Film magazine voted A Fish Called Wanda the 37th greatest comedy film of all time. In 2000, the American Film Institute ranked the film 21st on AFI’s 100 Years… 100 Laughs, its list of the 100 funniest movies ever made. This film is number 27 on Bravo‘s “100 Funniest Movies”. It is also included in the Reader’s Digest “100 Funniest Films” list. Looks like I need to do some research on the film’s funnier than this one. More content for the blog! Wanda: [after Otto breaks in on Wanda and Archie in Archie’s flat and hangs him out the window] I was dealing with something delicate, Otto. I’m setting up a guy who’s incredibly important to us, who’s going to tell me where the loot is and if they’re going to come and arrest you. And you come loping in like Rambo without a jockstrap and you dangle him out a fifth-floor window. Now, was that smart? Was it shrewd? Was it good tactics? Or was it stupid? Otto West: Don’t call me stupid. Wanda: Oh, right! To call you stupid would be an insult to stupid people! I’ve known sheep that could outwit you. I’ve worn dresses with higher IQs. But you think you’re an intellectual, don’t you, ape? Otto West: Apes don’t read philosophy. Wanda: Yes they do, Otto. They just don’t understand it. Now let me correct you on a couple of things, OK? Aristotle was not Belgian. The central message of Buddhism is not “Every man for himself.” And the London Underground is not a political movement. Those are all mistakes, Otto. I looked them up. Archie: I used to box for Oxford. Otto: Oh, yeah? [Otto quickly picks up Archie’s gun, and points it at him] Otto: I used to kill for the CIA. [Otto dangles Archie out a window] Archie: All right, all right, I apologize. Otto: You’re really sorry. Archie: I’m really really sorry, I apologize unreservedly. Otto: You take it back. Archie: I do, I offer a complete and utter retraction. The imputation was totally without basis in fact, and was in no way fair comment, and was motivated purely by malice, and I deeply regret any distress that my comments may have caused you, or your family, and I hereby undertake not to repeat any such slander at any time in the future. Otto: OK. Thanks to both Wikipedia and IMDb for making this post possible and for letting us relive one of the funniest movies ever.